This post may contain affiliate links. Read my full affiliate link disclosure here. When the foundation of good health has been laid, by making the most of sunshine, fresh air, sleep, water and food, it will be time to turn to the little details about the care of the complexion the hair, the teeth, the nails. 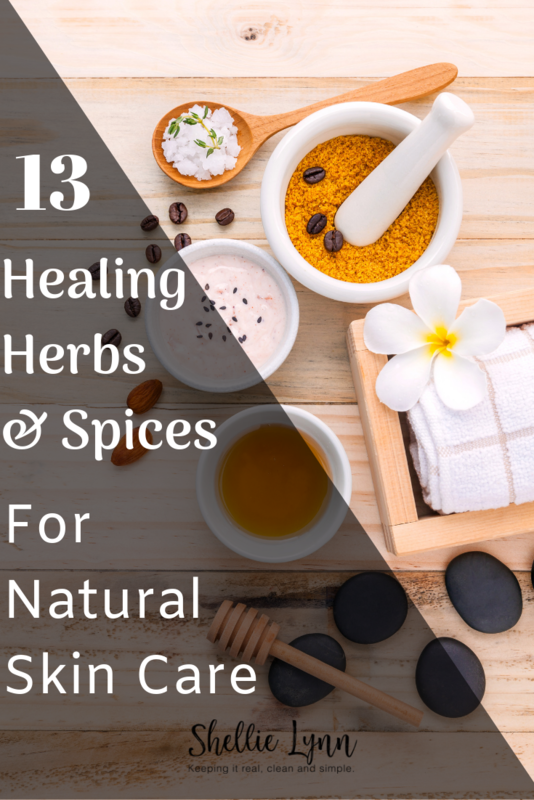 Natural skin care and beauty recipes have been around since the dawn of time. When it comes to finding the solution to your care woes, you are not likely to find it in a bottle, lotion, or pill. Your skin is an outer reflection of your inner health. To clear up your skin issues, you need to clear up any underlying health issues. Instead of looking for solutions at your local drug store, look no further than your kitchen. Oat straw is the stem of the oat plant while it’s still green and its sap is milky. It is a great source of silica and calcium and has been used for hundreds of years for skin problems and to correct imbalances in the blood sugar. Oat straw is most often made into tea or extracts and added to food. Oat Straw Tea contains six different B vitamins, Vitamin A, vitamin E, folate, pantothenic acid, magnesium, iron, calcium, manganese, phosphorus, and anti-oxidants. Learn more here. Horsetail, whose other name is shavegrass, used to be used as an exfoliant and probably still is in some place. An astringent, horsetail is full of silica that supports the suppleness of the skin. It can be drunk in tea but is often dried, powdered and made into a poultice to put on the skin. It can also be added to a warm bath. Horsetail contains many nutrients and minerals. These include calcium, iron, manganese, silica and antioxidants. Besides being an antioxidant, horsetail is also antimicrobial, antibacterial, and anti­inflammatory. Learn more here. The leaf and seeds of this plant are used for skin health. Alfalfa is full of carotene, which is converted to vitamin A in the body. Vitamin A is an anti-oxidant that is vital for the health of the skin, hair and nails. Alfalfa is also full of necessary trace minerals, vitamin K, chlorophyll and amino acids. Learn more here. Nettle leaves are excellent when it comes to inflammatory skin diseases, especially in children. They clear up eczema and clean ulcers and wounds. When nettle leaves are used in a tea or tincture, their stinging hairs are neutralized. Nettle contains vitamins C and K, B vitamins, as well as minerals like calcium, magnesium and iron, to name a few.3 It also has amino acids and antioxidants. Learn more here. This is the fruit of the rose plant. Extremely rich in vitamin C, it is an all-purpose tonic. It can be taken as a tea, as capsules, as part of a mask or in a facial. It also makes an excellent jelly. Rose hips contain vitamin C, vitamin A, vitamin E, and vitamin B-complex, as well as minerals like calcium, iron, selenium, manganese, magnesium, phosphorous, potassium, sulfur, silicon, and zinc. They also contain lycopene, pectin, lutein, and beta-carotene. The antioxidant components, which include flavonoids, phytochemicals, and carotenoids also contribute to their health benefits. Learn more here. Turmeric is derived from the rhizome of a plant that resembles the ginger plant. In a compress, turmeric is used to heal injuries and skin lesions. When it is eaten, it cleanses the blood. This also contributes to the health of the skin. Turmeric contains more than 300 naturally occurring components including beta-carotene, ascorbic acid (vitamin C), calcium, flavonoids, fiber, iron, niacin, potassium, zinc and other nutrients. But the chemical in turmeric linked to its most highly touted health effects is curcumin. Learn more here. Learn about the healing benefits of turmeric essential oil here. Yes, this is carrageenan, that additive that thickens store-bought ice cream. When applied to the skin Irish moss acts as a demulcent, which means it soothes inflamed or irritated skin. Irish Moss contains 92 different minerals. It also contains protein, beta-carotene, B vitamins, pectin, vitamin C and sulfur. Learn more here. This herb can also be drunk as a tea or used as a compress for skin problems such as acne and eczema. It soothes boils, bruises, warts and canker sores. Burdock Root contains vitamins A, B complex and E, inulin, antioxidants, and phytochemicals. Learn more here. This micro-algae is bought as a dried powder and can be sprinkled on food or mixed with drinks. It is a great source of chlorophyll, vitamins B1, B2, B3, copper, iron, magnesium, potassium, manganese, amino acids, antioxidants, and proteins. Its ability to cleanse the blood and help circulation promotes skin health. Spirulina has 2300% more iron than spinach, 3900% more beta carotene than carrots, 300% more calcium than whole milk, and 375% more protein than tofu. Comparing phytonutrient levels, Spirulina is 31 times more potent than blueberries and 60 times more potent than spinach. Learn more here. Anthony William talks a great deal about the healing benefits of spirulina in his book, Medical Medium: Secrets Behind Chronic and Mystery Illness and How to Finally Heal, which is by far the most fascinating and revealing book on the planet. 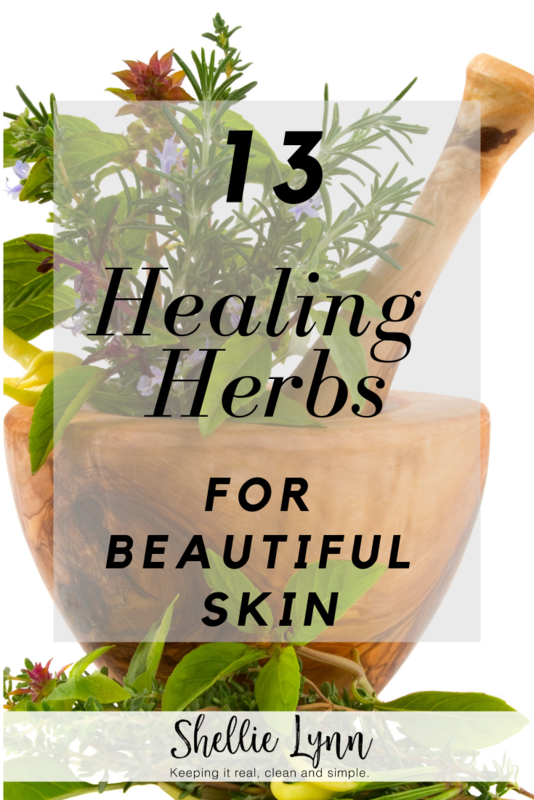 The aromatic leaves of this herb tones the skin and is especially good for the hair. It stimulates hair follicles and is said to put off the graying of the hair and baldness when used as a shampoo. Rosemary is a good source of iron, calcium, vitamin B-6, and antioxidants. Learn more here. Learn about the healing benefits of rosemary essential oil here and here. This herb is famous for its gel, which is used to heal minor burns. Its promotion of rapid cell regeneration helps to heal wounds, rashes, fungal infections and all types of skin problems. Aloe vera can be made into a juice drink. Aloe Gel is antibacterial, anti-inflammatory, antifungal and packed with 200 active compounds. It contains vitamins, minerals, amino acids and antioxidants. Learn more here. Drunk as a tea or taken in capsule form, this mildly astringent root is rich in iron and can build and cleanse the blood. This makes it a good choice for skin conditions. Yellow dock root is also used in formulas to treat psoriasis and eczema. Use the oil of this root externally to heal skin conditions that feature itching and scaling such as eczema and psoriasis. It also is used to treat ringworm, athlete’s foot, acne and other inflammatory skin conditions. Learn more here. For more information on natural and holistic skin care, check out Natural Skin Care 101 Guide. This is an awesome list! I love rosehip. Fenugreek and milk thistle are good too and have tons of benefits especially for women!! Love using aloe and rose hips in my face care routine! I have rosacea and find them to be really soothing. Those are some of my favorites too. You’re right, they are so soothing. I also like to use aloe water to help with my digestion which ultimately improves my skin. It’s tasteless and it gets the job done! Love these! Bookmarking for later, because i want to try all of them! Wow! I learned a lot from this! Some of these I’ve never heard of! Thank you for your thoughts. I hope you get to try some new stuff and have fantastic results. Never doubt Mother Nature! Definitely some good ones! I personally love rose hip oil…it does wonder for my skin! And I’ve never heard of oat straw…I’ll have to look into that one! Thanks for sharing! That one was new to me too in my research 😊 After trying it, I found it to be super effective. Super cool! I have never heard of yellow duck root before. s=Sounds like it could really get the job done. It is fascinating to me how Mother Nature supplies us with the most simple and effective remedies for everything we need! All of which I love. Great post. I knew about the benefits of turmeric and rose hip but I hadn’t even heard of some of these other ones. Thanks for sharing! Some of them were new to me too in my research. There is always something new and amazing to learn about Mother Nature! Hi Jenn, all of them will be beneficial. Rosehip oil, turmeric, spirulina, and aloe vera are especially helpful. That’s a good question, Kate. I don’t know if they have different names. Since they are mostly plants, they should be similar. There is just so much to learn about Mother Nature and her gifts. You are so amazing! I love natural healing and I never knew about Irish Moss. I am so impressed with your site and the info on all these herbs! No one knows better then Mother Nature! Thank you, Andrea 🙂 You are right, don’t mess with Mama Nature!